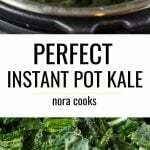 How to cook kale in 3 minutes using your Instant Pot! It comes out perfectly steamed every time. 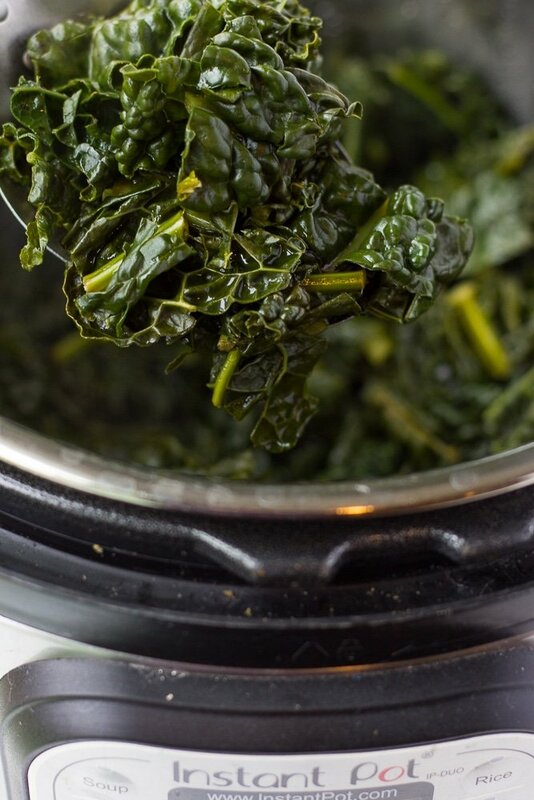 Use pre-chopped and bagged kale to make this super easy, no chopped required! Best served on the side or in hearty grain bowls. What kind of kale should I use? 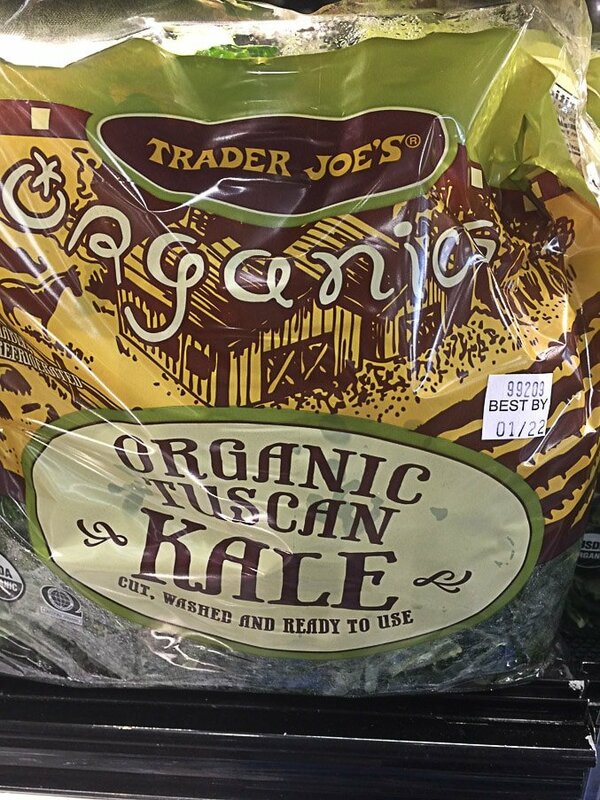 You can use any kind of kale, from curly to lacinato, but I recommend getting the bags of pre-packaged and chopped kale to make this SO easy! The really awesome thing about cooking it in the Instant Pot is that you don’t have to worry so much about the stems that are often in those bags. Maybe it’s just me, but I don’t generally like them and try to remove them as much as possible. I definitely don’t want stems in my kale salads, they are too hard to chew! But in the Instant Pot, they are no bother. 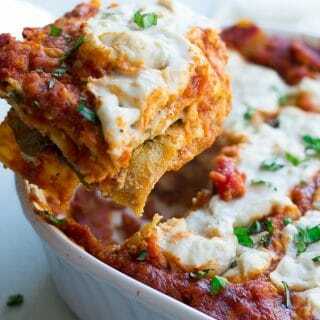 They get soft enough to easily eat, without making the leafy part overcooked. 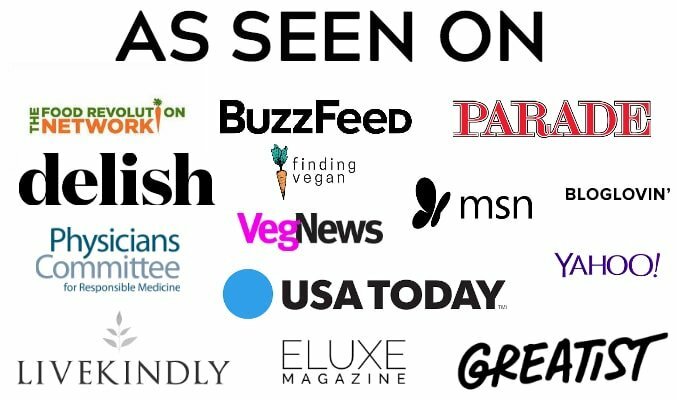 It’s like kale magic! How should I eat cooked kale? With baked beans and cornbread. On the side of (or mixed in) Vegan Alfredo. In any sort of hearty bowl with a grain, a bean and a yummy sauce. 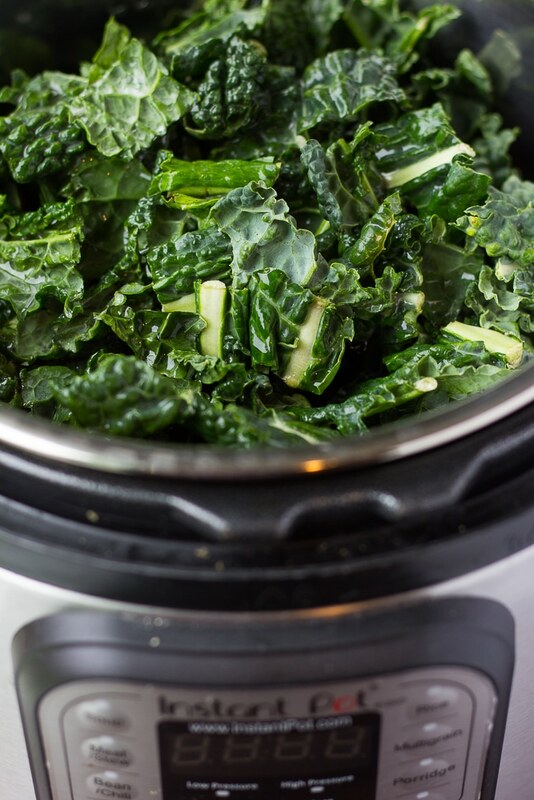 This cooked kale is a great meal prep dish, it will keep in the refrigerator for up to 4 days. I often meal prep this alongside some brown rice, black beans and cashew cream. 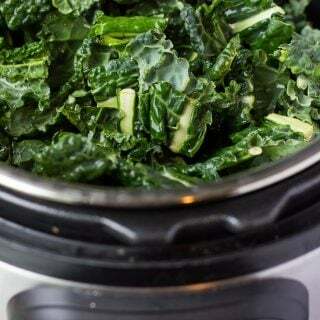 How to cook kale in just 3 minutes, using the Instant Pot! 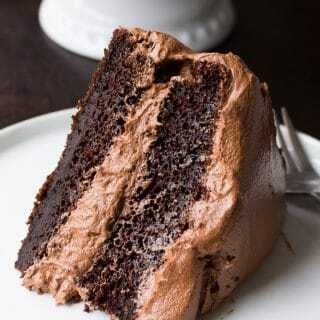 It comes out perfectly every time. Pour the water into the inner cooking pot of the Instant Pot. Add the chopped kale. 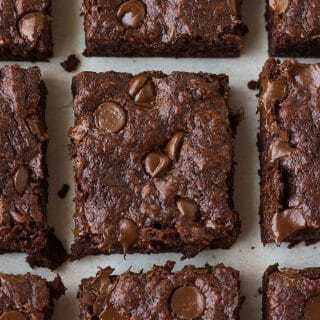 Don't worry if there are some stems, the Instant Pot will make them edible and not too chewy. Place the lid on, set the valve to seal and cook on high, manual pressure for 3 minutes. Once it beeps, you can either do a quick pressure release or let it naturally release (usually this takes about 10 minutes). Serve in hearty rice and bean bowls, or on the side of any meal. Sprinkle with salt or balsamic vinegar. It's also particularly good with cashew cream.